Pete holds the record for running coast-to-coast, SF to New York, in 48 days. He has won the Badwater ultra (134 miles, Death Valley to Mt. Whitney) twice and set the record. 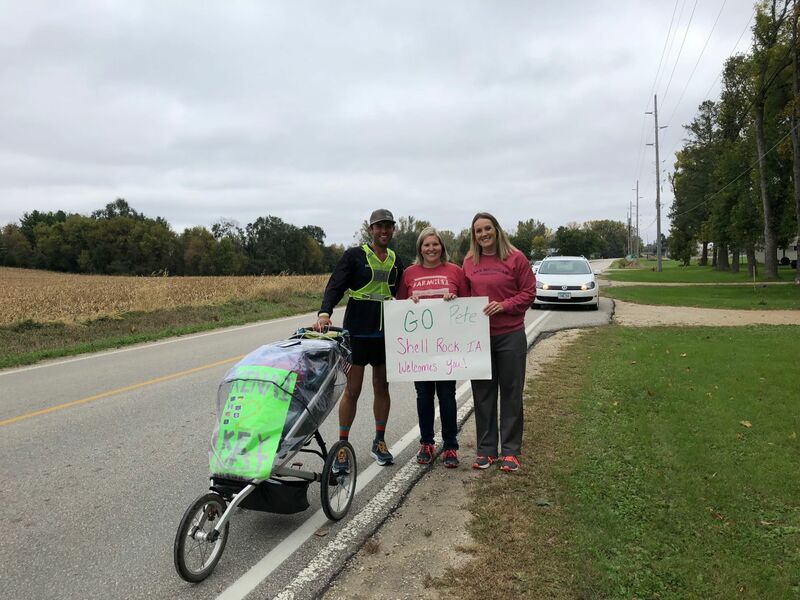 So this time he decided to go Alaska to Key West in 100 days, self-supported, pushing a stroller. He did it in 98. 55 miles a day. He's insane. stroller? interesting, will have to visit and look up the gear load out. Always interesting to me what a self supported journey needs. wonder how many flats he got? But no mention of the fun geeky stuff that I could find. The mapping and road logistics must have been challenging. But dang that is a lot of running! His running resume is unbelievable. It seems like the longer the distance for him the better he is at it. I can't conceive of how anyone can run 55 miles/day for 98 days pushing their gear in a stroller and not get injured. I got plantar fascitis just watching the video of him. I have approx 5.3sec at full spring to the bathroom after Kentucky Fried Chicken. I admire the ability for such distances, wow.